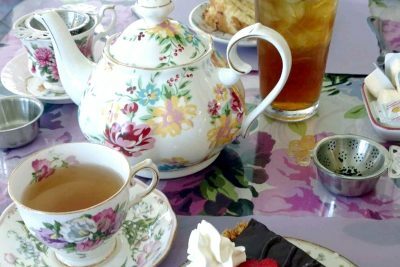 The Critter Adoption and Rescue Effort no-kill animal shelter is hosting its third annual Ladies Tea fundraiser at the Firehouse Cultural Center in Ruskin at 3:30 p.m. Sunday, Feb. 24. Reservations are required for the single seating, and there are only 80 seats available. Call 813-645-2273 to RSVP. 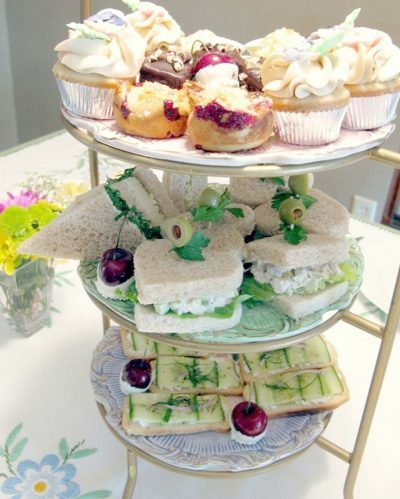 There’s nothing ordinary about an afternoon tea, where guests enjoy chatting with each other and being treated to hot tea, scones, tea sandwiches, tartlets and bite-size desserts. Many say it’s an experience like no other. At 3:30 p.m. Sunday, Feb. 24, the Critter Adoption and Rescue Effort (C.A.R.E.) no-kill animal shelter is hosting its 3rd annual Ladies Tea at the Firehouse Cultural Center, 101 First Ave. N.E., Ruskin, and reservations are now being taken. The cost is $35 per person, and RSVPs are required. Tables of eight are available for groups wanting to sit together. The afternoon gathering is the shelter’s largest single fundraiser. Its Best Hat Contest is always popular, and this year’s winner will receive a $25 gift card to Beall’s department store. The event will also include a 50/50 raffle and silent auction of themed gift baskets. 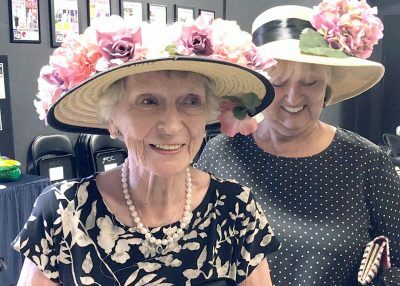 Part of the fun during C.A.R.E.’s third annual Ladies Tea will be its optional Hat Contest. The winner will receive a gift card to Beall’s department store. Tickets are one for $1, 6 for $5 and $20 for best odds and an arm’s length. Proceeds will go into C.A.R.E.’s newly started capital campaign to replace its aging building with a new facility to house its dogs and cats. Fundraisers like this help cover major expenses like resurfacing the shelter’s parking lot or buying a commercial washer and dryer and paying for extraordinary medical care for gravely sick or injured animals. C.A.R.E. is a 501(c)3 nonprofit organization founded by local veterinarian Hal Ott in 2000. With the exception of a full-time animal care manager, two part-time employees and its medical team of veterinarians Bob Encinosa, Daniel Muller and Amanda Esposito, the shelter’s team of community volunteers donates in excess of 10,000 hours annually, working three shifts a day, 365 days a year to keep the shelter operational. Most of its residents (up to 18 dogs and 30 to 40 cats) need minimal care and stay temporarily until they are adopted and successfully placed in permanent homes. Occasionally, an animal needs extraordinary medical care and for one reason or another doesn’t find a home. If so, it will remain at the shelter for its lifetime. Guests will treated to hot tea, scones, tea sandwiches, tartlets and bite-size desserts at C.A.R.E.’s third annual Ladies Tea fundraiser. The cost is $35 per person. All C.A.R.E. animals are spayed or neutered, brought up-to-date on their vaccinations and microchipped before being offered for adoption. The shelter is at 1528 27th St. S.E., Ruskin. It’s open Tuesdays through Saturdays for animal visitation from 10 a.m. to 3 p.m.
For more information about the Critter Adoption and Rescue Effort shelter and its mission, call 813-645-2273 or visit www.careshelter.org. Adoptable pets may be seen there or on Facebook by searching: Adopt a CARE dog or Adopt a CARE cat. C.A.R.E. also has a wish list on Amazon. By entering Critter Adoption and Rescue Effort in the wish list search box, you can send much needed items directly to the shelter.